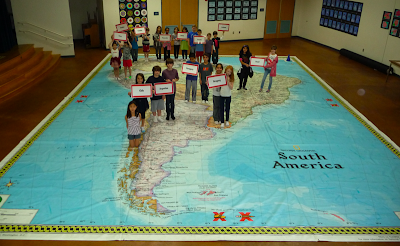 Mrs. Yollis' Classroom Blog: Mrs. Yollis' Class Journeys to South America! Mrs. Yollis is passionate about teaching geography to children. 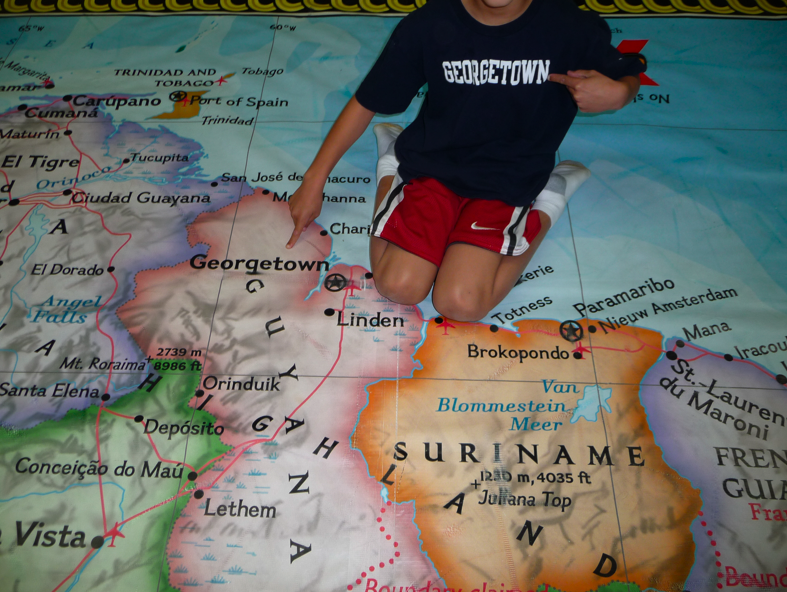 She organizes the National Geographic Giant Traveling Maps for her district. This year her district is going to South America! Over the years, they've explored Asia, North America, and Africa. 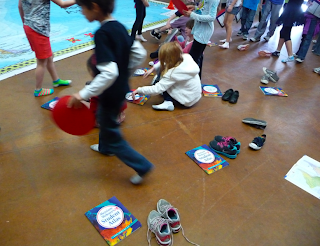 Students took off their shoes and explored the continent of South America! One student said her mother was born in URUGUAY. We noticed that all the countries were labeled using CAPITAL LETTERS. That was helpful! 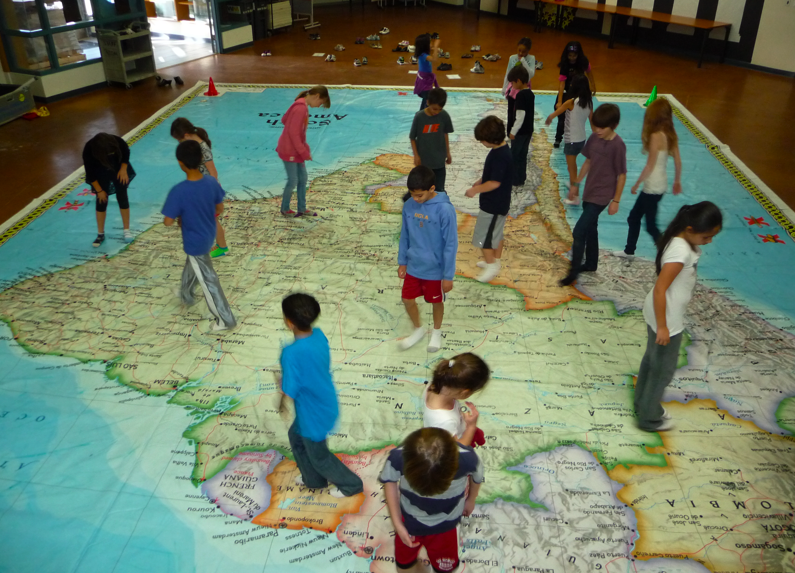 Some students counted COUNTRIES, while others looked for capital cities. One student walked the Andes Mountain Range and another swam the length of the Amazon River! One boy noticed that his shirt was the capital of GUYANA! He hadn't even visited Guyana! After some free exploration, we used the COUNTRY cards to locate all the COUNTRIES in South America. How many countries were there? We were surprised to find Los Angeles! Who remembers where this city is located? What COUNTRY? BRAZIL was so large, we could all sit inside its borders! Next, we decided to create a human ClustrMap! First, we examined our South American map. We tried to identify the cities that went with the larger dots. Many of the cities were capital cities! Everyone got their visitor dots ready! Behold! Our Human ClustrMap of South America! Can you name any of the cities? 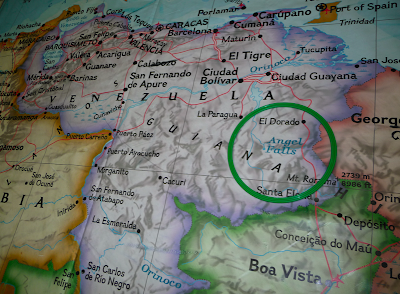 Mrs. Yollis pointed out Angel Falls in VENEZUELA. Does anyone know any fun facts about the famous waterfall? Have you ever visited a country in South America? If so, tell us about it! 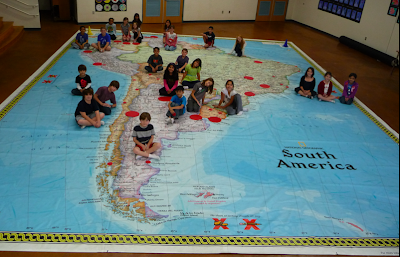 Research and share some interesting facts about South America. 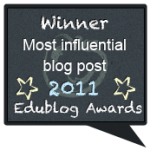 Remember, do not plagiarize! I loved walking on the AWESOME map! I read that there is a city called Los Angeles in South America in the country of Chile. I have some facts about the Andies: they are the longest mountains above sea level and also the second highest in the world! The Andies divide into two mountain ranges, one has snow, which is hard to farm because of the snow and the height. The other range has plateaus and valleys and they are good for farming. Farmers grow potatoes and the rich soil there has minerals like zinc, gold and copper. Your ClusterMap photo was so impressive. I loved doing the human cluster map today. Jordyn, Sasha and I were Columbia and that was really fun! Argentina, Bolivia, Brazil, Chile, Columbia, Ecuador, Guyana, Paraguay, Peru, Suriname, Uruguay and Venezuela. French Guiana (France) and South Georgia and the South Sandwich Islands ( in my opinion "Sandwich Island" is such a hilarious name). My brother's best friend is from Brazil and he speaks Portugese. I enjoy learning about South America! I had a great time walking on the giant map! • Angel Falls is the highest unbroken waterfall in the world. • The height of the fall is 3,212 feet. • The water drops over the edge of the Augantipa mountain in Canaima National Park. •It is named after Jimmie Angel who was an American aviator and the first person to fly over the falls in a plane. I too, loved walking on the AWESOME map. 2nd LARGEST river in the world, the Amazon river: * The Amazon is 3768 miles in lenght. * The mouth is located in Northern Brazil. * The Amazon produces approximately 20% of all the water that the world's rivers pour into the ocean by its self. Did you know any of these fun facts? Do you know what approximately or produces means? It happens to be that my aunt, uncle and cousins from Uruguay, South America are visiting this week. Can you believe that they flew 16 hours to get here. That is a long flight! My cousin, Candela, is ten years old and I am meeting her for the first time. She is so nice. In Uruguay they speak Spanish. My Spanish is not that great, but my cousin speaks English, so we can communicate. My cousin lives in the city of Montevideo, which also happens to be the capital. My cousin says that she likes to eat pasta and "empanadas", which are similar to meat pies. Uruguay is surrounded by the Atlantic Ocean. Tomorrow I am going to ask my cousin to write a comment of some Spanish words that we can learn. What a fantastic idea! I'm sure you all had fun and learned a lot while walking on those maps. I'm an ESL teacher from Argentina. I live in Ciudad Autónoma de Buenos Aires. 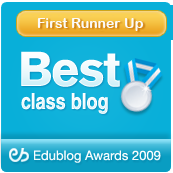 I teach 5th grade in a bilingual school here. I live in the capital of Argentina. It's a very big city. Have you found my city on the map? We're on our summer break at the moment and many people like to go to the beach. There are some beautiful beaches in Buenos Aires: Mar del Plata, Pinamar, Necochea, etc. Some people like spending their break in Córdoba or Mendoza. Mendoza is famous for its wineries and Cordoba is famous for its beautiful mountain range. You can also go to Iguazú Falls, in the Northern part of the country. It's so beautiful! It has been recently named one of the Seven Natural Wonders in South America. The South of our country is also incredible. The Patagonia has the most amazing views, lakes and mountains. Have you found all these places on your map? Have you heard about them before? 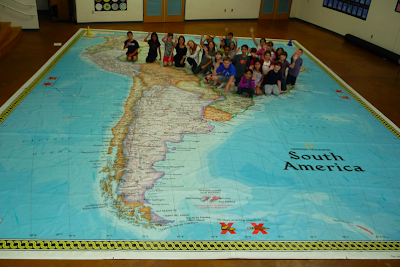 Hope you have fun learning about South America! I agree with you that the enormous map was AWESOME! I loved walking the Andes and I adored all your facts about them. My favorite fact is the last fact because it made me wonder if people from North America go to that rich soil to collect the minerals. • Brazil is the largest country in South America. • South America comes in 4th place in the size ranking. • Bolivia has two capitals. • The population of South America is 327million. • South America is 6,858,673 square miles long. • The climate in South America is every kind. 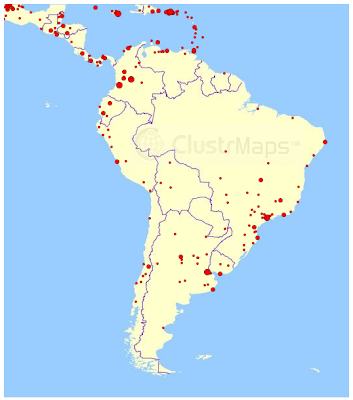 • The main languages in South America are Spanish, Portuguese, and many Native American Languages. • The Amazon river is the biggest waterfall in the world! • One fifth of the birds in the whole world come from the Amazon rain forest. • South America has the biggest waterfall in the world and it is called Angel Falls. • The north part of South America has the equator run right through it. • South america grows 3+ percent a year. • South America has animals like the Andean Condor and the piranha. • The Death rate in South America is 7.7 per 1,000 people. • The annual growth rate in South America is 1.9% per 1,000 people. Can you tell me any more facts about South America? P.S here is a link to the website I got all the facts from. Did you know there are 12 countries in South America? They are Argentina, Bolivia, Brazil, Chile, Colombia, Ecuador, Guyana, Paraguay, Peru, Suriname, Uruguay, and Venezuela...phew! They are all independent too. 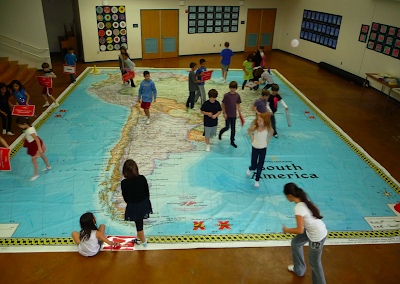 I really enjoyed walking on the gigantic map, and learning many facts about South America. I found an interesting fact about Brazil. In the year 2016, a big city in Brazil, Rio de Janeiro, will be the first city in South America to host the Olympic games. The government of Brazil is trying to clean up the city and make sure it will be safe for the athletes and tourists that will come to visit. Great comment! I spotted that you used one of our spelling words! In my opinion that is a very AWESOME map too. 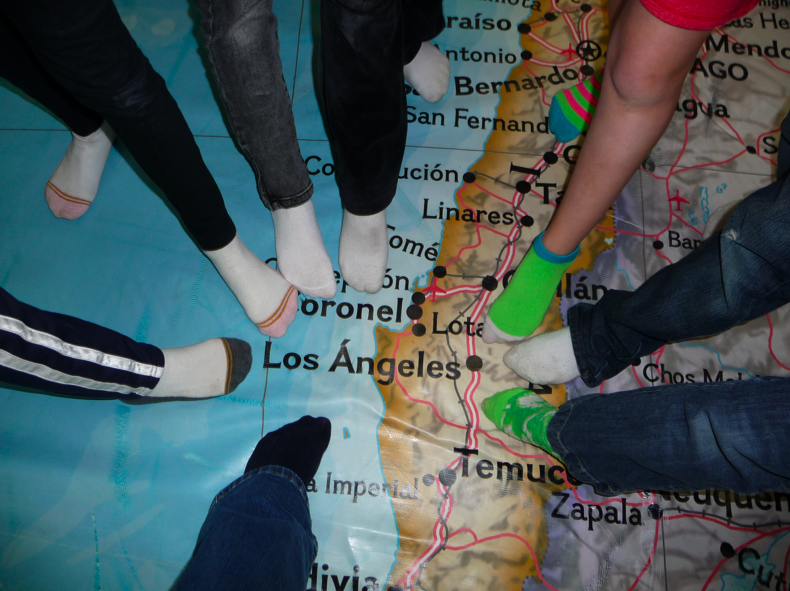 It is very weird that there Los Angeles in South America! Did you know that South America is famous for coffee? Colombia is the leader for coffee. 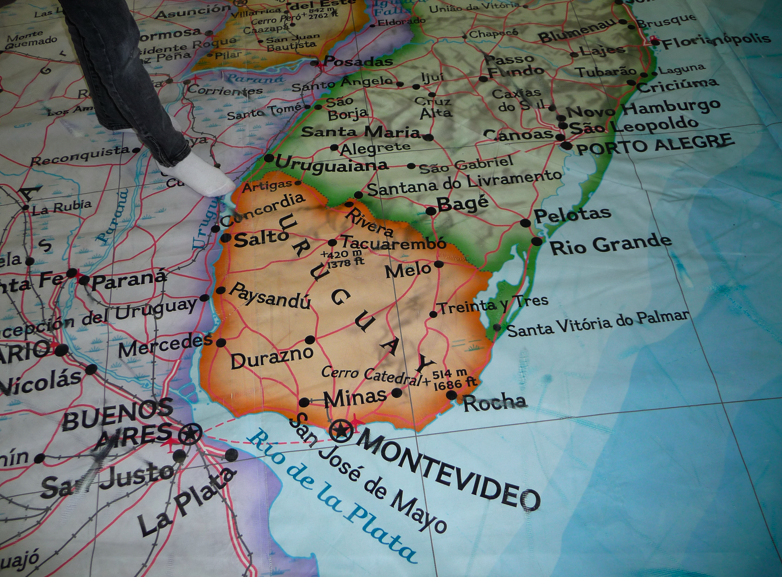 What is your favorite game we played on the South America map? This looks like and amazing day of learning. 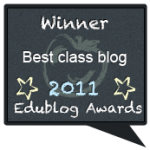 Students - you are veery lucky! So cool! I was so excited to see your classroom blog with the photos of all the students standing on South America! Wow that is the coolest map I've ever seen. I was especially interested because Angel Falls has been written up in the Time Standard Newspaper, which is the local paper here in Eureka,California. My friend Karen Angel is the niece of Jimmy Angel whom the falls are named for. Jimmy Angel was the American pilot who flew over the falls in his small plane, and brought attention to the falls for people all over the world. Time Standard Newspaper story about Angel Falls, you should be able to find the story. I haven't been to South America, but I sure do hope to travel there some day soon. Sasha's cousin Mariah just came from a semester in India and she leaves home again in February for her second semester abroad in Tanzania East Africa. She would be happy to answer any questions about those two countries for your class when you get to those continents. 1) South America is the fourth largest continent on Earth. 2) It covers 3.5 percent of the surface of the planet. 3) South America is home to nearly 370 million people. 4) The Andes Mountains run down the west side of the continent. 5) The largest countries in South America are Argentina and Brazil. I had a wonderful time walking on the South America map. I found out that some interesting animals live in South America. The green anaconda lives in South America in the Amazon rain forest, and can grow as long as 30 feet. It is one of the world's largest snakes. There are many different kinds of birds in South America. I like the flamingos, parrots and toucans because they are so beautiful. South America does not have huge animals or large herds of animals. Their largest animal is the tapir which looks a little like a hog and grows as large as a pony. I really love animals and their habitats and enjoyed learning about the different animals that live in South America. Your comment was definitely a two pointer! Really, your relatives flew 16 hours to get here? 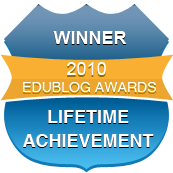 ∆ The Andes is the longest mountain range above sea level. ∆ Many peaks are 20,000 ft above sea level. ∆ It's 4,500 miles long 7,200 km. Do you have any more fun facts for us? I feel so sorry for you because you have been sick all year. :-( We missed you in South America. America. Did you know the green anaconda lives in the rain forest by Angel Falls. Wonderful comment! We loved all the facts! We did have a sensational time on the awesome, ENORMOUS map! 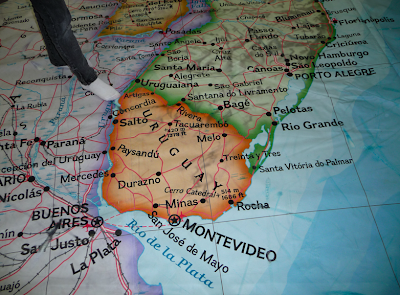 Most of us went to the map during snack and took pictures of Argentina.In our opinion, Argentina is really big on the map! We found Iguazú Falls on the map. It was pretty small on the map. Have you ever visited Iguazú Falls? Have you ever visited the Andes? Do you know how tall the highest point in the Andes is? •The Amazon River is the second longest in the world. •The Amazon River runs through the largest tropical rain forest. •It starts at the Andes(Peru) and has 1,000 tributaries. •Falkland Islands belongs to the United Kingdom. 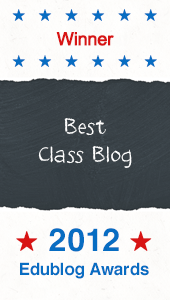 Thank you for leaving a comment on our blog! It was a great one too! I agree that it is really cool that our class got to go on a GIGANTIC map! It was a lot of fun. I think my favorite game was Simon Says! Although it was really hard when she said to go to the Andes, because we all couldn't fit in there at the same time! By the way she said "Simon Says:)." Every single time we went we played! Have you actually been to South America?